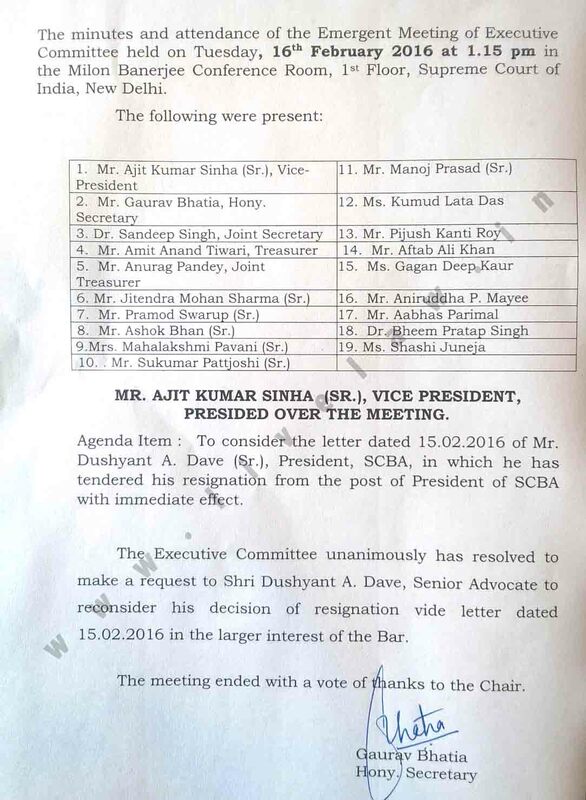 A day after Supreme Court Bar Association President Dushyant Dave resigned from the post, the Executive Committee of the Association has unanimously resolved to make a request to Mr. Dave to reconsider his decision of resignation, “in the larger interest of the Bar”. As per the minutes of the meeting held today, the ‘unanimous’ decision was reached with 19 members, including the Secretary Mr. Gaurav Bhatia present for the same. 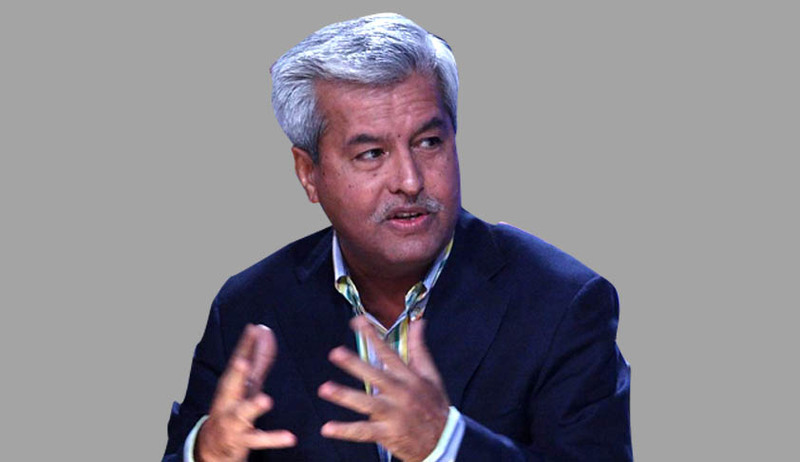 Mr. Dave had resigned yesterday, a day after he had condemned Mr. Bhatia about the initiation of process of maintaining a Register in memory of retiring Judges on retirement of Justice Iqbal, without his approval. “You would recall our discussion on Wednesday last (followed by mysms to that effect) saying that though I did not approve of this move, I would like the EC to consider the same in its meeting fixed on Monday the 15th Feb. However without informing me and keeping me in complete dark you went ahead and got the same done on Saturday and Sunday. The whole exercise was carried out in a manner contrary to ethos and working of the EC and clearly improperly, if not illegally,” his letter to the Secretary had said. You may read the LiveLaw article here.